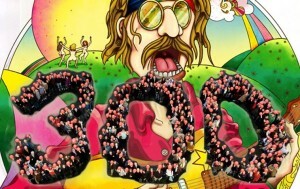 We have reached 300 peeps on Facebook, 300 psychedelic loving freaks in one happy listening community! Welcome to everyone, we hope you enjoy what you hear. Feel free to suggest songs and artists that we might not yet have added to the playlist.